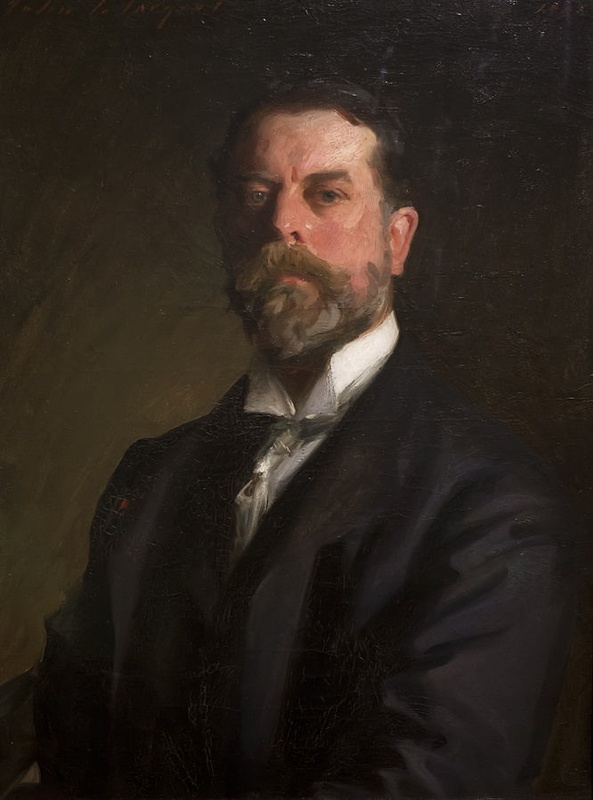 John Singer Sargent (1856-1925) spent most of his childhood moving around America and Europe for his father’s work and mother’s health. It was his mother (an amateur artist herself) that noticed her son’s “quick and correct eye” and nurtured his natural talent. While travelling he was encouraged to visit galleries and museums, he said that “I have learned in Venice to admire Tintoretto immensely and to consider him perhaps second only to Michelangelo and Titian.” However it was Velázquez whom he idolised and whose influence is most clearly seen in his works. After training with Carolus-Duran, a modern painter of Parisian high society, and a formal education at the École des Beaux-Arts in Paris he rose to fame quickly, becoming the most in-demand portraitist of his day. 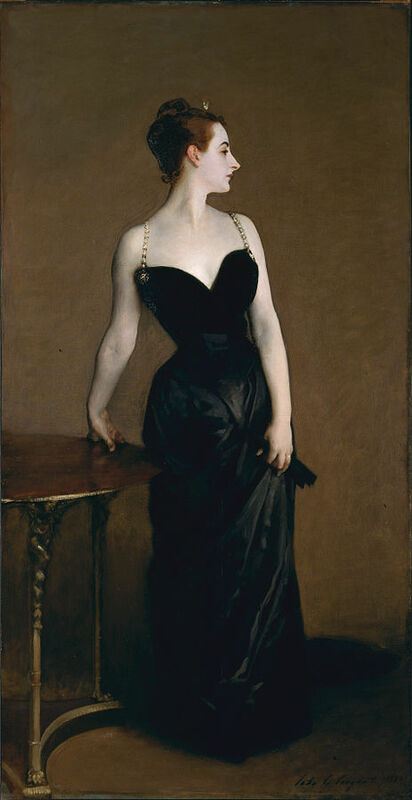 At the Salon of 1884 he showed his most well-known picture, Madame X (Madame Pierre Gautreau) (1884) which caused a scandal. Despite the dent it caused to his status Sargent considered it his best painting. But discouraged by the criticism he moved to London. If at first he was seen as too avant-garde for English tastes he soon won the critics over. Notably with Carnation, Lily, Lily, Rose (1885) which he submitted to the Royal Academy’s Summer Exhibition in 1887. This re-established his reputation and he became the portraitist of choice for the fashionable British elite. Later in 1897 he was elected as an RA, an official demonstration of his established name as an artist. His later works show a clear influence of music and theatre. 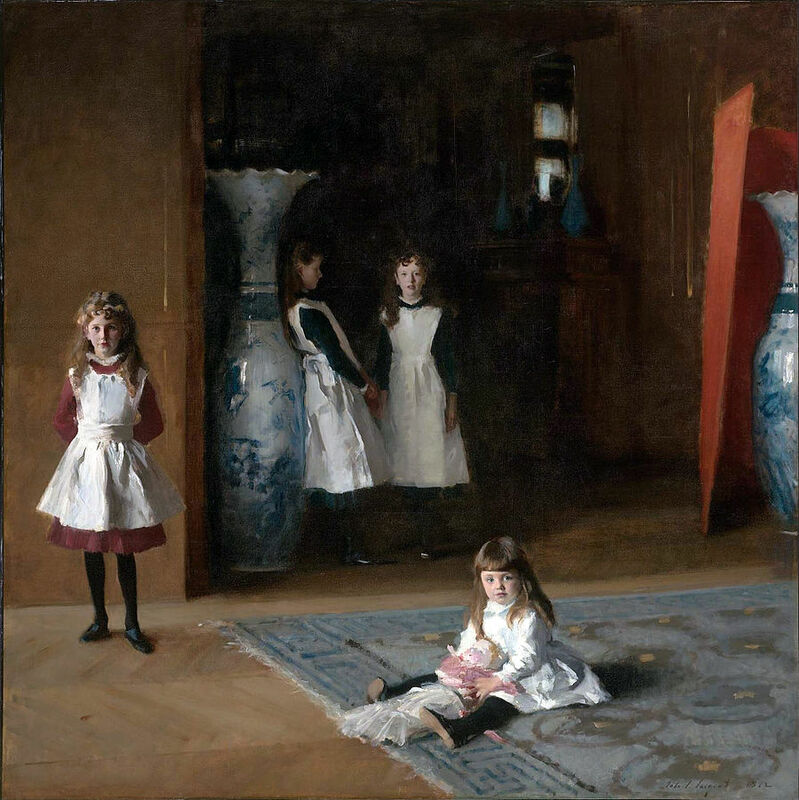 Sargent’s circle of friends was made up of many prominent cultural and literary figures, whom he often he painted. Such figures as Henry James, Gabriel Fauré, Ellen Terry and Robert Louis Stevenson, he was also a good friend of Monet‘s, whose famous garden at Giverny was visited in 1885. 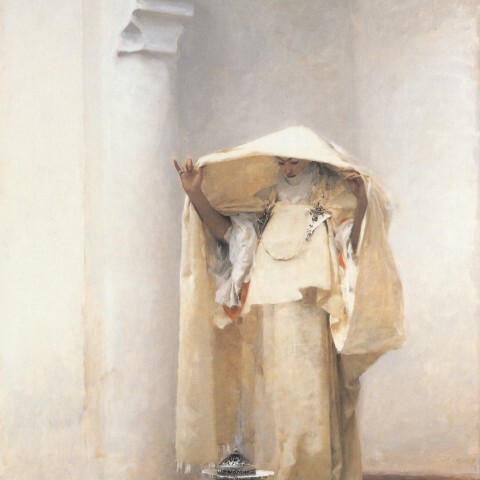 Although Sargent dabbled with Impressionism he never fully immersed himself as Monet and the others did. The mastery of his own technique lay in the dexterity of his brushwork and his stylish bravura. He must have drawn inspiration from Van Dyck, continuing his foundations of portrait painting and using oil paint in a similarly vivacious and singluar way. Certainly both flattered their sitters in such a way that glamourised them and gave them an air of je ne sais quoi. 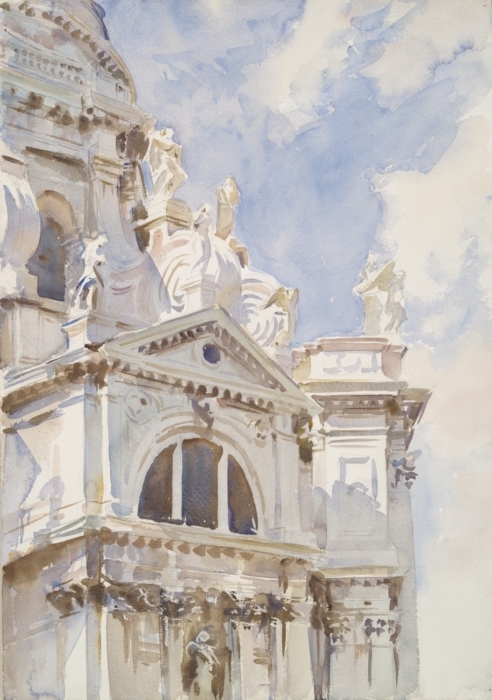 Sargent retained a style that was very much his own, unique and as easily identifiable as a signature.